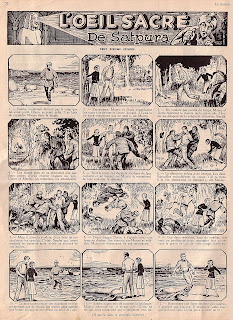 Hector Brault illustrated the top banners over reprinted British comic serials for Montréal's Le Samedi magazine. Brault was the magazine's art director. This page is from 19 Septembre 1942. 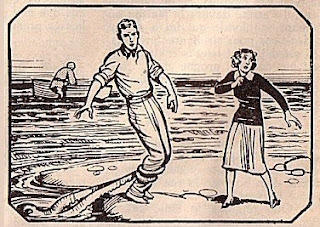 Brault illustrated “Tom Brinfin et Dodolf” in 1942 as seen here on Lambiek. An illustrated history of québécoise bande dessinée here at BDQ. *Thanks to Michel Saint-Loup and Michel Viau for their helpful comments. Beyond the Funnies: The History of Comics in English Canada and Quebec (here) was co-authored and co-curated by comics scholars John Bell and Michel Viau.